CHICAGO (WLS) -- The city launched a new tourism campaign this week called "Chicago Epic" to encourage people across the country to visit the Windy City. The marketing push is part of Mayor Rahm Emanuel's plan to attract 55 million visitors within the next five years. 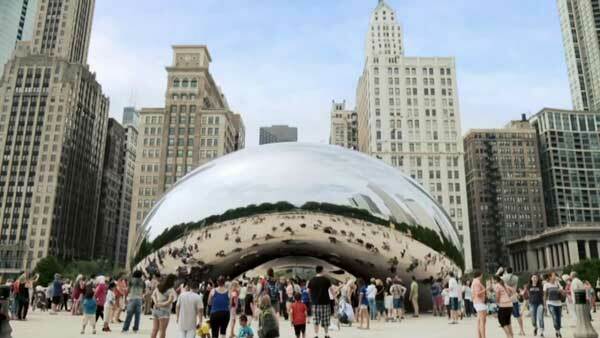 Chicago has already hit just over 50 million visitors. "Chicago's greatest assets are our vibrant neighborhoods. This new advertising campaign captures the epic and unique spirit of our diverse communities and their world renowned cultural and culinary offerings," said Mayor Emanuel. In recent years, tourism also added more than 9,000 jobs in Chicago. "The word epic describes something large and impressive, something beyond the ordinary in size or scope, and stories about legendary events or adventures. All of which describe Chicago and how we do things," said Don Welsh, President and CEO of Choose Chicago.